In these horrifying experiments, cats are anesthetized and paralyzed while their skulls are surgically removed and electrodes embedded in their brains so scientists can “map” the response of visual neurons. 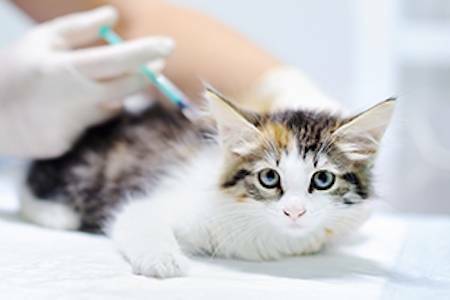 Since October 2017, CAARE has been exposing sickening experiments on cats and kittens at the State University of New York College of Optometry (SUNY Optometry). With such horribly invasive experiments, CAARE had many questions and concerns about the treatment of these unfortunate cats, but when we tried to obtain information under the New York Freedom of Information Law, SUNY basically slammed the door in our face. On June 21, 2018 CAARE filed a lawsuit against SUNY Optometry for its failure to comply with Freedom of Information Law. We are grateful to the Animal Legal Defense Fund (ALDF) for their invaluable help in filing the suit, and to the public interest law firm of Meyer Glitzenstein & Eubanks LLP, who is also representing CAARE in this matter. We now have a superb legal team and are doing everything possible to shake these documents loose from SUNY’s unwilling grip. Our lawsuit got us front page coverage on the New York Daily News last week and the support of a New York legislator who has joined forces with CAARE to let SUNY know they are violating the law by withholding records from the public. I’m sure SUNY Optometry thought they could just overpower CAARE – completely disregard our reasonable request for more information about their taxpayer-funded cat experiments – and get away with it. Just like they’ve been getting away with conducting these deplorable experiments since 2002, out of public view and with no one to speak up for these poor, defenseless cats. But we’re not about to let that happen. Last week’s lawsuit was just one of several actions CAARE is taking to advocate for an end to these shocking experiments. All this demands the maximum of our resources. But exposing egregious animal experiments and pushing for humane, non-animal alternatives is why I founded CAARE, and I won’t back away. I hope you too, will stay with us in this fight and consider making a donation today to help get justice for these cats.